McCain newsletter readers check your emails! Earlier today they sent out an email with two new coupons! The email is called "Jumpstart your Fall routine with our simple tips and savings!" 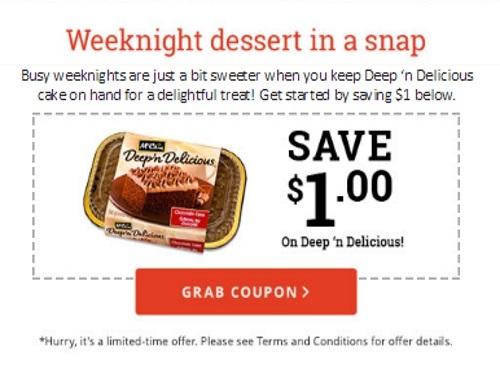 Look for a coupon for $1 off Smiles fries and $1 off Deep ‘n Delicious cake! Both of these coupons are mailed ones, that you can order at the links through the email, limited time offer only. Coupons will be mailed out within seven to ten business days from the end of the promotion period. Only McCain Canada email subscribers as of September 15, 2016 at 9:00AM EST are eligible for a coupon. Only one coupon per product per household. Click here to sign up to be a McCain newsletter subscriber.